1. Place the pata in a casserole with 6 cups of water, soy sauce, hoisin sauce, brown sugar, pepper corns and bring to a boil. 2. Add the star anise and sesame oil, simmer for an hour, or until pork is tender. 3. Remove the pork and set aside, then add slurry to the pot. Let it simmer until sauce is glossy and thickened. 4. Blanch the bokchoy and shitake mushroom in boiling water seasoned with salt. 5. 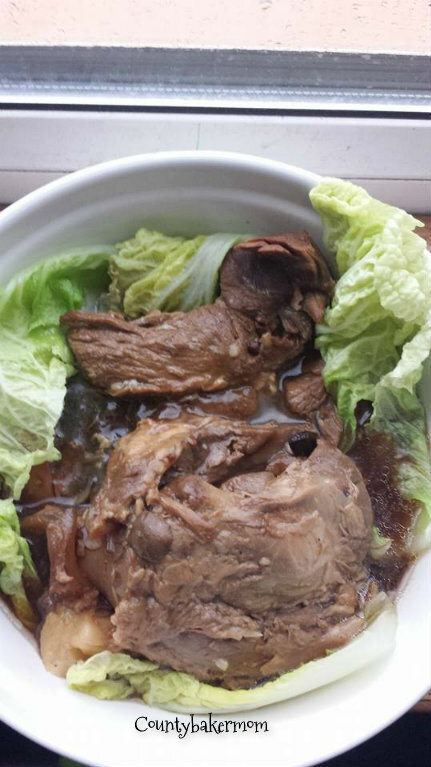 To serve, place the pork in the middle of a serving dish then serve with blanched bokchoy,shitake mushrooms and lastly pour the sauce over the pork and vegetables. 6. Garnish with spring onions and serve with rice. 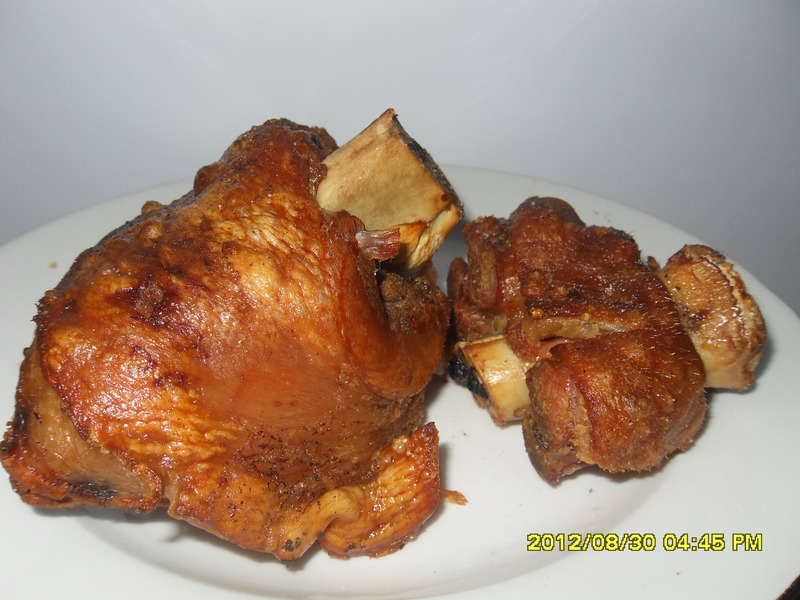 This is my first attempt to cook Pata Tim. 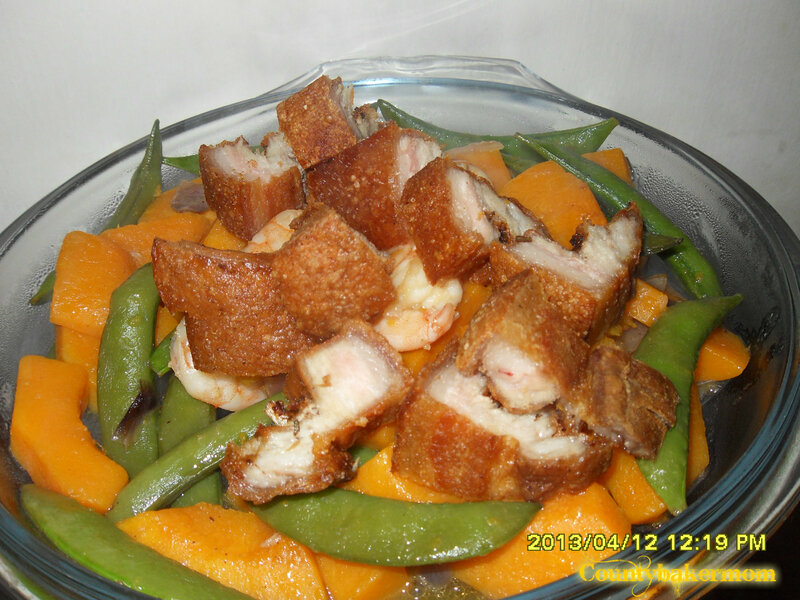 It is a favorite Chinese influenced Filipino dish. 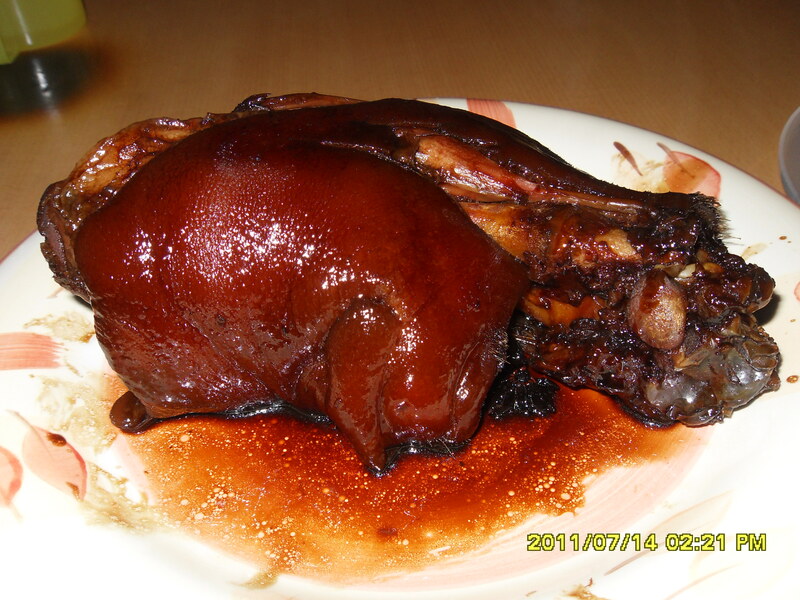 It is made from pork leg that is slowly boiled to make the meat really tender. 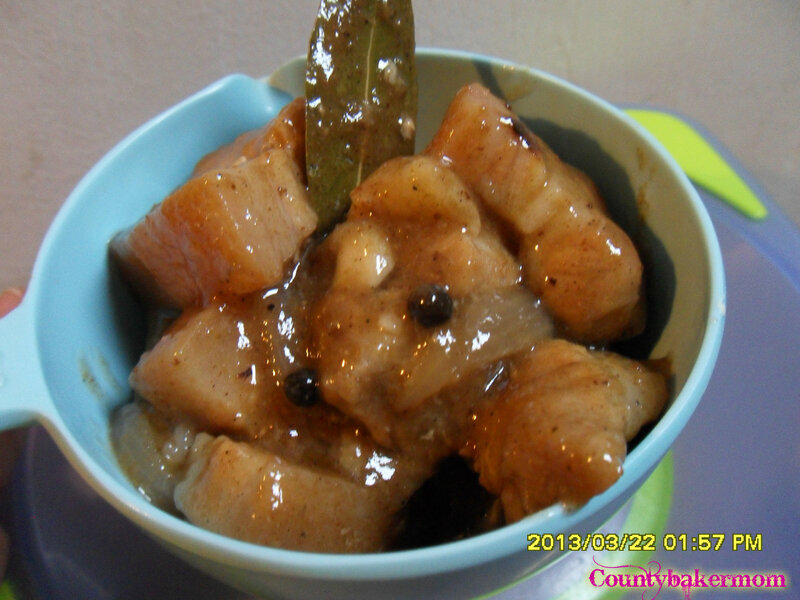 Its tasty sauce makes this part of the pork much softer and juicier, making it a well known classic in the Philippines. 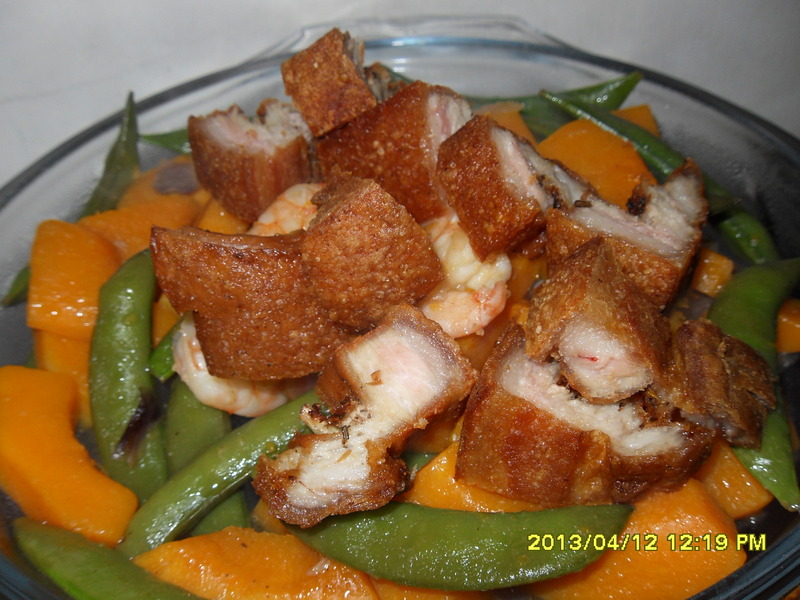 It’s really an easy dish to cook because you just need it to tenderized,seasoned it and wait! 1. Combine all ingredients in a stockpot. Cook over high heat until mixture comes to a boil. 2. Lower heat to simmering and continue to cook until pata is fork tender, about 4 hours. Add water if necessary. 3. Adjust seasonings as needed.